IxDA is a labor of love fueled by volunteers. IxDA Seattle is what it is because of the contributions of our speakers, panelists, graphic designers, content creators, day-of-volunteers, and others who step up. But none of what we do would happen without our sponsors who host our efforts. On behalf of the IxDA Seattle community, we’d like to thank the Collective Seattle for being an incredible event sponsor for our volunteer appreciation event! The Collective Seattle is an “urban basecamp” where members can build relationships, relax, as well as work on projects that inspire them. 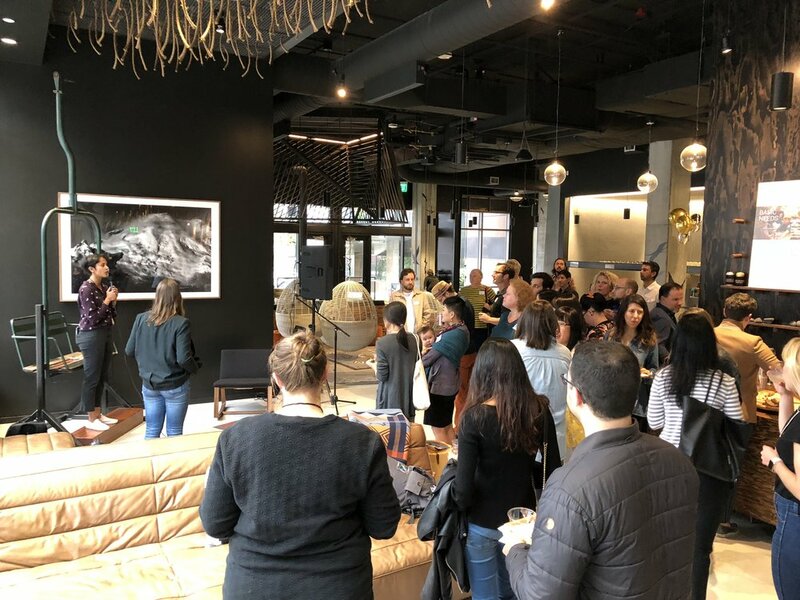 At our recent volunteer appreciation party, the Collective hosted our networking happy hour and updates about future IxDA events. Our UX community at IxDA would not be possible without the work of many volunteers, our volunteer board, our donors, and our sponsors. We are thankful to have grown our partnership with the Collective to provide the UX community new spaces to gather and share insights. If you are looking for a space to collaborate away from home or work, or an event partner with a beautiful space, incredible Pacific Northwest inspired food, and access to a diverse community of members, we highly recommend the Collective Seattle!